I’ve been writing steadily but it’s been a long time since I published anything. 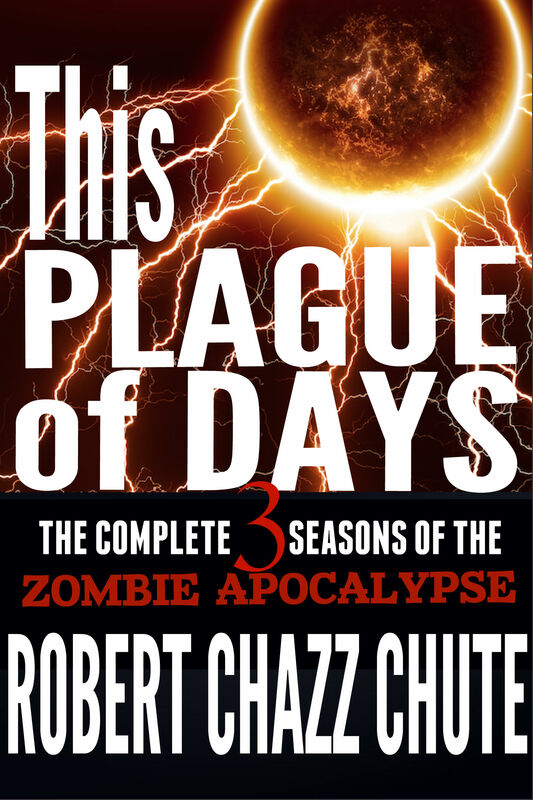 If you were a fan of This Plague of Days, I think you’re going to dig The NEXT apocalypse series. My new end-of-the-world epic is called AFTER Life. The three books of the trilogy are Inferno, Purgatory and Paradise. It’s about a bio-weapon that gets out of a research lab and voila! Zombie apocalypse! There’s industrial espionage, military sci-fi and betrayal aplenty in AFTER Life! 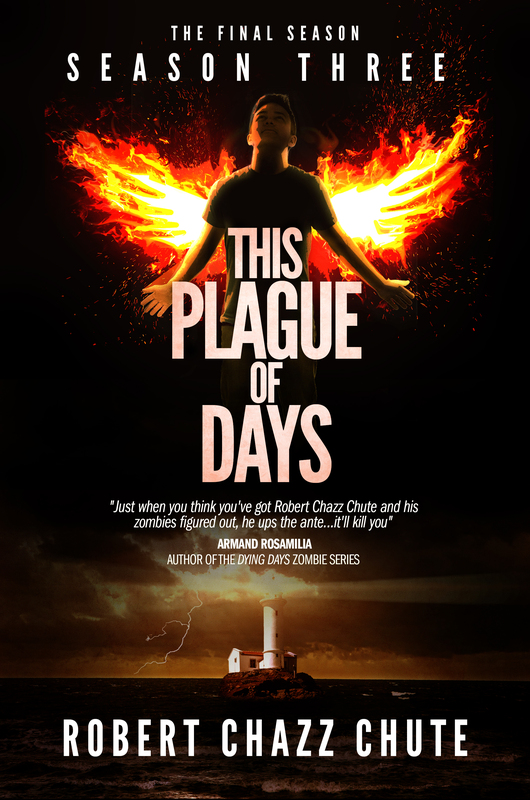 I held off on writing another story like this because This Plague of Days was a hit in its genre and I was worried about comparisons. The story shares a few bones with TPoD but is significantly different in a few key respects. This Plague of Days went deeper on religious quandaries while AFTER Life is much more based in the science of the brain, nanotechnology and genetic manipulation. While TPoD was more literary, expect more action and a faster pace to the new series, something I know many SF fans crave. You can still expect that I’ll go deep on character development and the plot is packed with twists and surprises. It’s always been my policy that no character, no matter how small their role, knows he or she is a redshirt or a bit player. Whatever happens, the context must give the fiction enough veritas that you care. I’m sure you’re going to enjoy AFTER Life! Here’s the link to pick it up from AMAZON in the UK. Congratulations! 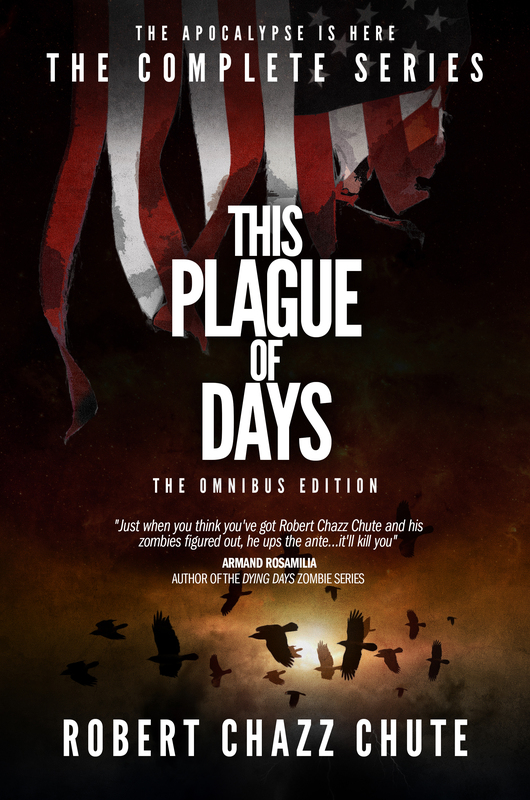 Your e-book, This Plague of Days, Omnibus Edition was awarded an Honorable Mention for Writer’s Digest’s Self-Published e-Book Awards in Genre. So there’s that. But, you’ve probably already read TPOD. No worries. I’ve got you covered. If you liked This Plague of Days, you might even love this. 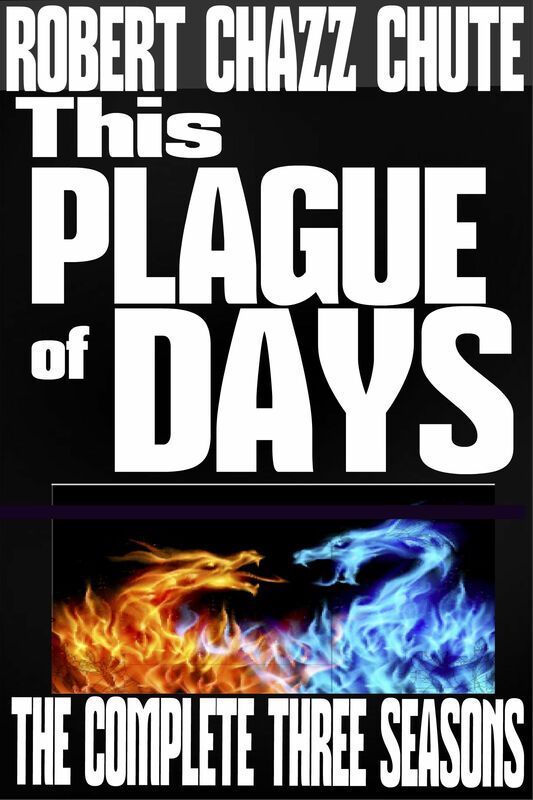 I have a new book that’s the beginning of a series and, though it’s a fast and fun dark fantasy, there are elements of it that remind me of This Plague of Days. There’s horror here, but the tone is surprising and quirky. The Haunting Lessons is about a girl from Iowa who has the perfect life planned out. When tragedy strikes, her world is upended and she discovers she has capabilities she never suspected. The world is a far more dangerous place than she imagined and now she’s thrown into a secret war in the Secret City of the Unseen: New York City. 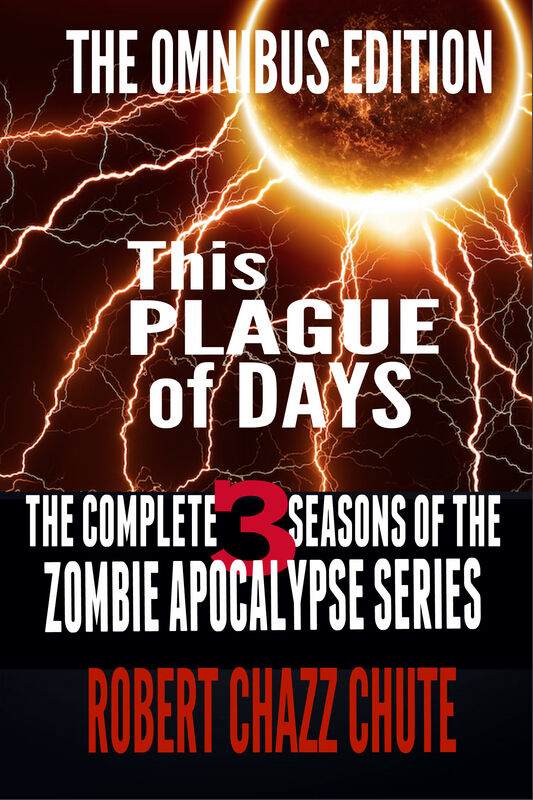 Expect swordplay, jokes, holy gunfire and instructions on how to survive the coming Armageddon. Click it to get it now! And while you’re at it, check out my coauthor’s novella. My friend Holly Pop had a real experience that will freak you out. She and a couple of friends messed around with a Ouija board. Read this story and you’ll need a night-light to fall asleep. It’s creepy and compelling and worrying and a necessary read: to pick it up, click the cover image below. It’s been in the Top 100 Kindle Short Reads list since its release! More developments, as they happen, reported here. Film at 11. Merry Christmas! No spoilers. It’s important. If you review without spoiling, thank you. 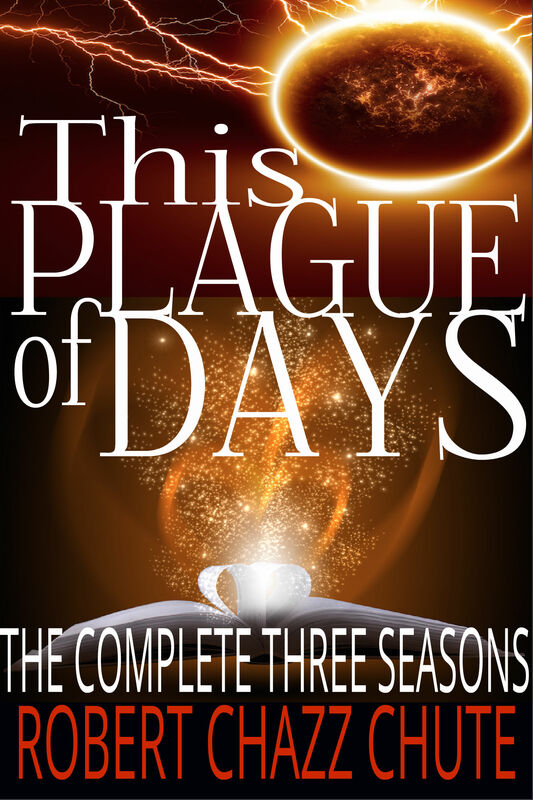 Just read my second review of This Plague of Days that contains a spoiler or a strong hint of a spoiler. A movie reviewer ruined Jacob’s Ladder for me the same way. So, in summary, WTF is WRONG with people?! I’m going back in the cave because obviously I’ve come out too early to deal with this BS. Thank you to all the kind reviewers who can express themselves without resorting to spoiling the reading experience for others. I truly appreciate each and every one of you. (It’s been a tough week on the personal side, folks, so excuse my angst. What’s that about? Here’s what that’s about.) You know…I think I’m past the weeping stage and I’ve found my anger at The Way of Things again. So there’s that. 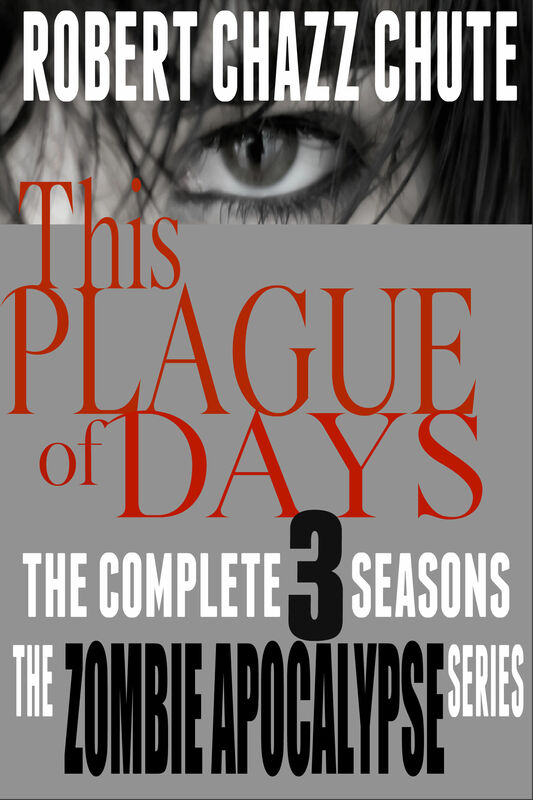 Thanks to everyone who gave me feedback on the interim cover for This Plague of Days, The Complete Series. I considered everyone’s opinion. Most people liked #4 so I went with that. Then I considered what everyone had to say again and went through with my tweaks to the cover. The paperbacks are getting reformatted now and Kit Foster of KitFosterDesign.com is doing new covers for the second editions of the books. I had some production problems with the ebook and paperback text. Typos that snuck in because of a file management issue have been corrected in the ebooks. The paperbacks are not available until they’re formatted and Kit has new covers. Everybody loves all Kit’s covers already, of course, but the man is an artist and a perfectionist. The new covers will have a matte finish and beyond that, all I know is Kit says they will be “sexier.” How different will that be? I don’t know. I let Kit do his thing! Don’t stand in the way of genius. Hey, if you’re into it, cool, but don’t get too excited about having the Omnibus Edition in print yet. At well over 1,000 pages, it would be very expensive to produce and would only be for collectors and the diehards, really. I’ve considered doing a Kickstarter for that project, but that’s off in the future, possibly after the movie deal is finalized. 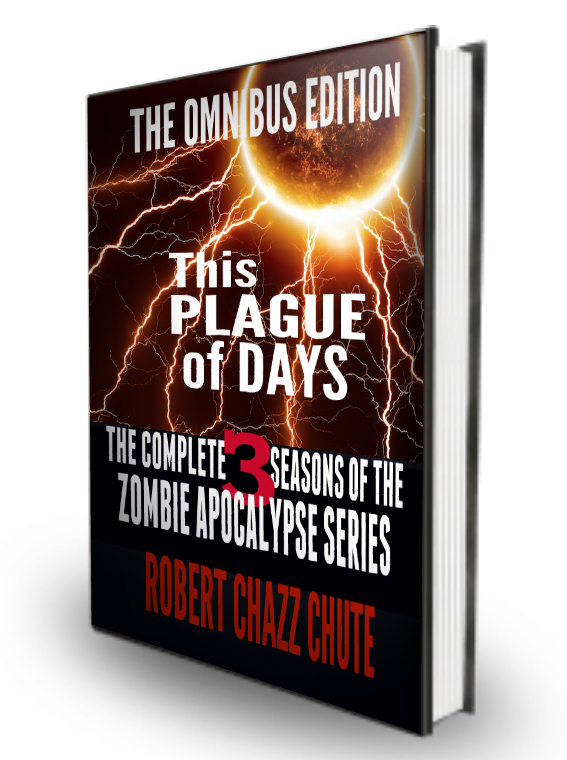 The ebook of the Omnibus will be very affordable by comparison. Times are pretty tough to be charging people what a huge book would cost. 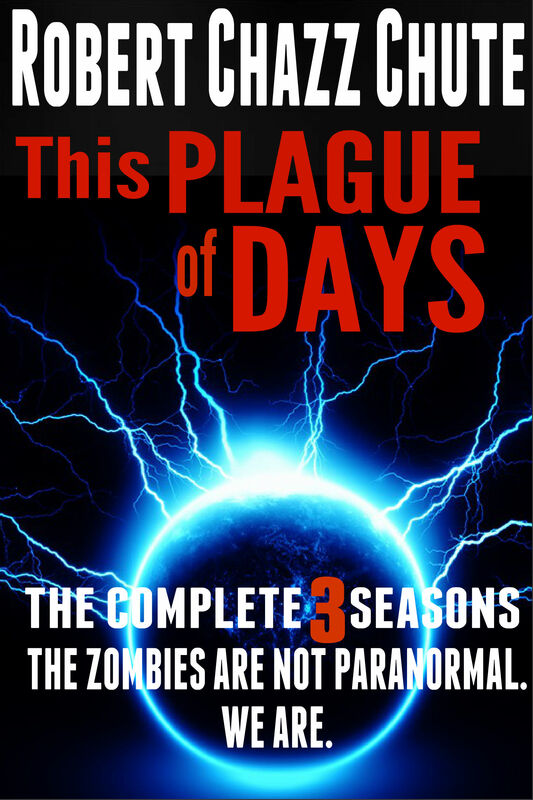 Also, I’ll have news for everyone subscribed to ThisPlagueOfDays.com soon about TPOD Season 3. Membership has its privileges. And finally, the winner picked at random has a connection to the book! Her first name was the inspiration for Dr. Keres AKA Shiva! Congratulations and the TPOD Omnibus Edition go to author and former guest on the Cool People Podcast, Ava Easterby! Thanks again and meet you soon in the Mindfield, everybody! Much love! Kelly Dickson had been a mother, wife and elementary school teacher at the Brooklyn School for the Blind. 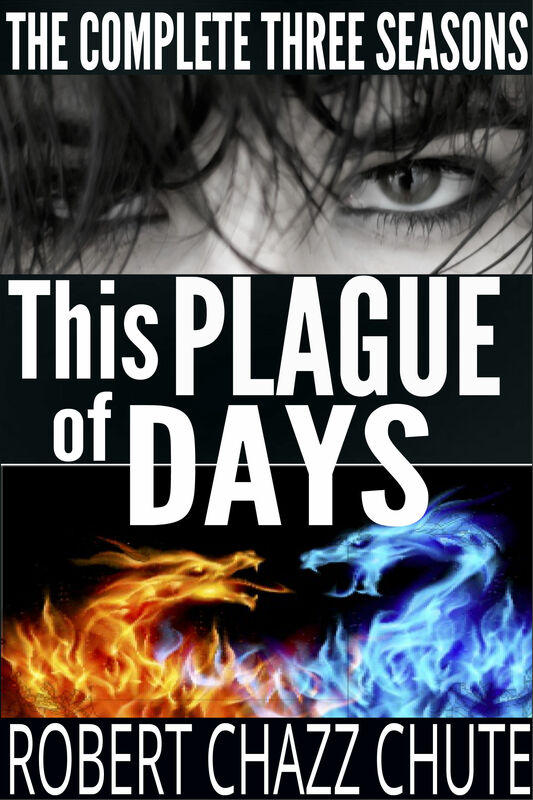 Before X, Z and A — three deadly strains of the Sutr virus — pulled the world down the path toward the new Dark Ages, Kelly lived in New York all her life. She named her dog (a tall, affectionate boxer) Batman. She faced the darkness with a smile, confident she could find the way. As the summer turned to autumn and Sutr’s first stirrings were still a vague, foreign problem mentioned at the bottom of newscasts, Kelly shook as she asked her husband to check the electronic test kit for her. Kelly was nervous about having a child. The sensor read: blue. Kelly didn’t know what blue meant. She didn’t know what the color blue looked like, either. “It means we’re pregnant,” Brad said. “One of us is more pregnant than you,” Kelly said. It was true the baby was an accident, but one of the happy kinds. “I’m scared, but I think we’ll just have to settle for perfect,” she said. “Yes, that’s true.” She kissed him. Her husband, Bradley Dickson, was an engineer for Dell. Brad had been buried under high aspirations and heavy work long before the baby. As the baby grew within Kelly, the world changed behind the Dicksons. It was as if they stood with their backs to a movie screen, oblivious as the plagues built in strength. They fixated on a bright future instead. They talked of someday grandchildren. They could only see each other. When the baby came, Kelly gave birth at home. The hospitals weren’t considered safe for childbirth by then. A neighbor woman helped Brad deliver the child, a little girl the Dicksons named Susan. After the baby was born, Brad took up any slack. He helped with the baby without a grumble, rising above Kelly’s expectations in every way. Then the first wave of the Sutr-X virus hit New York deeper and harder. Quarantines and looting began. Brad’s abilities shone even brighter. He was strong. He knew guns. When the looters came to steal from the Dicksons, he drove the gang away with a bullet between the eyes of the first thief who made it through their barricaded door. Brad told Kelly that he’d thrown the looter’s corpse in the street as a warning to anyone else who would threaten his family. His voice was steady and calm and so matter-of-fact, he scared her a little. Later, she heard him crying in the night as he rocked the baby. It was the first time she’d ever heard Brad cry. When he did that, she was filled with confidence that the plague hadn’t driven him mad. Despite throwing a corpse into Nostrand Avenue, her husband was still one of the good guys. Kelly was so sure then that they’d make it through the Sutr pandemic. Then the baby began coughing. The Sutr Flu took tiny Susan Dickson on a Thursday night as a rainstorm poured and pounded. Brad withdrew and stayed in the nursery with the baby. He wouldn’t come out and Kelly couldn’t force herself to come in. The smell of baby powder, the softness of Susan’s flannel sheets and the small, too-quiet room set off more crying jags. Kelly stayed in her bed. Kelly knew she could stop counting the days now. The calendar would never matter again. There would be no first steps or first day at school or someday grandchildren. With the baby dead and gone (gone where? ), no matter how soft and warm the weather, every day would feel like the rainy Thursday night Susan died. Kelly slept and hoped it was all really nightmare born of maternal fears compounded by a failing world. Her baby’s cry did not wake her. A full day had passed. When she went to the door, she could hear the rocker’s creak on the old hardwood floor. Brad still held Susan, rocking gently and muttering to the child, but the baby would never awake. That was all Brad said. When Susan died, it was as if the baby had taken part of Brad with her, leaving Kelly and her guide dog alone with the ghost of what might have been. Kelly and Brad made their way to the nearest church to bury Susan. “I’m afraid…when I went out to find food…I’m afraid I brought it back with me. Sutr got me, but I killed Susan.” He wept, then spit something out. Then Kelly listened as Brad threw up and wretched. Batman whined, snuffled and nuzzled Kelly’s hand, looking for reassurance. Maybe the guide dog somehow sensed the horrors still on the way. Kelly had no reassurance to offer. She wept as she dug. Brad coughed a long time, each breath wheezing into the next, shorter and shallower as the day cooled to night. Heedless of nightfall, Kelly knew darkness. She kept digging, making comfortable room for two. Brad struggled to breathe and spat thick liquid obstructions into the growing pile of dirt beside him. His fever spiked into hallucinations and Brad began to talk to his dead baby about fields bathed in sunshine. And Brad stopped trying. His arms went slack and he almost dropped the baby. He lay down and covered Susan in loose dirt until only her cherubic face was exposed to the world. Kelly was angry when she’d found what he’d done with the baby. She wept and wailed as she pushed him into the open grave. When she was ready to say goodbye to them both, she placed the baby carefully in her husband’s arms for the last time. She picked up the shovel and tucked Brad and Susan in for their longest night.